Located off the base of Fort Indiantown Gap Military Reservation, Moose’s LZ Bar & Grill was once a penny arcade in 1951. Soldiers and local patrons would enjoy a cold beer and sandwich. And they still do! 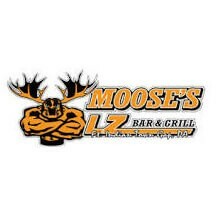 In 2005, Moose and Pam purchased the property and called it Moose’s LZ Bar & Grille. In 2010 a complete transformation took place. Visitors will appreciate the separate dining room and bar, and a partial roof over our large deck that seats up to 150 people. Enjoy great food at a good price and sample one of the 18 beers on draft or the daily lunch or dinner special and home-made soups.